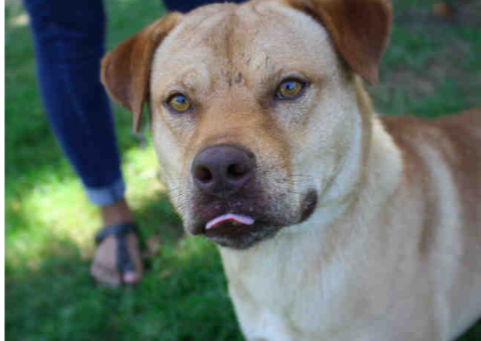 Kevin is a 4-year-old Lab Mix with a passion for cats, cat food, and pretty much all humans. On the surface he seems like the perfect pooch, but Kevin has a dark side. He lies in wait for his caretakers to let their guard down, creeping ever closer to his target. When the moment is right, Kevin makes his move. Among his victims: purses, spare change, clothing, and one tasty wrap sandwich. That’s right, Kevin is a kleptomaniac. He currently resides in a loving foster home, but back in November, Kevin was a new arrival at the Austin Animal Center. His good looks and charming personality won him a special place of honor in the shelter’s animal care office. Kev had his own cozy bed and exclusive access to the dog-loving staff members. It sure beat being in a kennel! But soon, Kevin’s office mates began to notice items disappearing from their work spaces. A flannel shirt here, a handful of pocket change there. Once an entire sandwich vanished from a worker’s desk. Another time, a purse and all its contents disappeared into thin air. Fortunately, Kevin was only interested in collecting the office treasures, not eating them. Still, his friends realized that resource guarding can be a sign of stress. They decided he would be better off in foster care until he finds his forever home. Kevin is doing wonderfully in his foster home. He loves going for walks and playing with his feline roommates, but he is definitely ready to find his human soulmate.